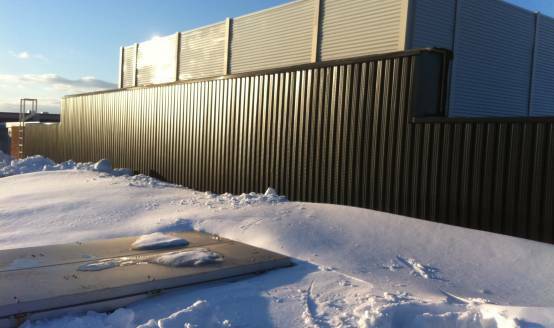 On the last day of the year in 2010, Shift Energy completed this transpired metal solar hot air system using SolarWall™ products by Conserval Engineering at the Reading Memorial High School... Just before the snow began to pound New England with one storm after another. The 650sf system services two separate mechanical units at the same time. 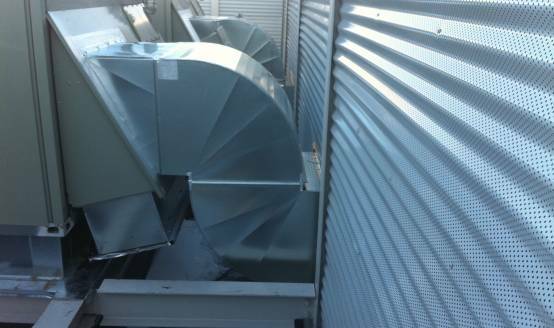 It is sized to provide heated fresh air when the mechanical units are running in their minimum fresh air mode, but can service each unit independently with higher volumes whenever possible. 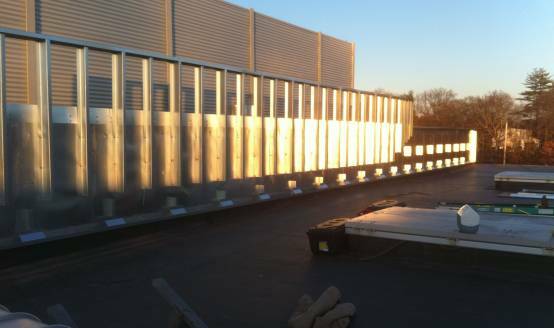 This project was completed in partnership with NORESCO, an energy service company performing significant upgrades to numerous town buildings including the High School under a performance based contract. 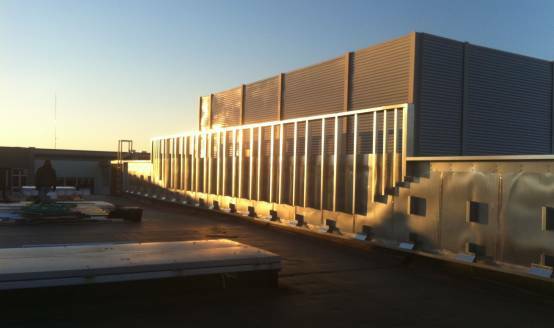 The project served as an educational piece in addition to saving valuable energy for the school in years to come.